Indore is one of the must-visit weekend getaways from Bhopal, not only on account of its historical places, but also because of its natural significance. Even though Indore is famous for its royal palaces and other ancient buildings, it is still a weekend destination for several nature lovers and photographers who come here to frame the beauty of its lakes and natural surroundings, spread in the form of forests, green vegetation and rich wildlife. Ralamandal Wildlife Sanctuary is one of the richest areas around Indore which has become a weekend spot, especially during the summer season, to escape the hot sun. It is spread over an area of about 5 square kilometres and acts as a green lung to the city. So, what do you think of a trip from Bhopal to Ralamandal Wildlife Sanctuary this season? Being a wildlife sanctuary with a cool and fresh environment, Ralamandal Wildlife Sanctuary remains a year-round destination for tourists, especially photographers and nature lovers. However, if you are looking to avoid the summer heat of Indore, then the best time to visit this sanctuary is from September until the end of April. By Air: Bhopal is well connected to Indore by air and hence, you can get a direct flight from Bhopal to Indore. Once you have reached the airport, you can hire a cab to Ralamandal Wildlife Sanctuary, which is situated at a distance of about 17 km from the airport. By Rail: There are direct trains available between Indore and Bhopal. Hence, you can catch a train from Bhopal railway station to Indore Junction. From the station, you can hire a taxi to the sanctuary. By Road: Ralamandal Wildlife Sanctuary is situated 195 km from Bhopal and hence, you can easily approach it by road. On your way, you can also visit the following places and explore their richness in nature and history. Settled in the foothills of the Vindhyachal Range, Sehore is located at about 38 km from Bhopal and 157 km from Ralamandal Wildlife Sanctuary and is popular amongst tourists for its historical and archaeological sites. The history of this town dates back to the era before the Christ period and hence, you can spot a myriad of places within its boundaries, narrating its legends of history. The major places to visit here include Cenotaphs of Kunwar Chain Singh, Ganesh Mandir, Saru-Maru Caves, Jama Masjid, Jain Mandir and Hanuman Phatak. You must take a break at this ancient settlement before heading towards the wildlife sanctuary to learn about the history of Madhya Pradesh. Dewas is another significant district of Madhya Pradesh which is a nice spot to take a break. From spotting wildlife to exploring its basalt rock hills, there is a lot to witness here. Located in the Malwa region, it is also famous for its ancient temples and religious sites. The prominent places here include Kavadia Hills, Kheoni Wildlife Sanctuary, Gidya Khoh Waterfalls, Pushpgiri Tirth, Devi Chamunda Temple and Meetha Talab. Dewas is situated at a distance of about 40 km from Ralamandal Wildlife Sanctuary and 155 km from Bhopal. Established in 1989 to conserve the natural beauty of the area, Ralamandal Wildlife Sanctuary is home to hundreds of species of plants and animals today, which comprise several endangered and a few rare species. Finally, after travelling a distance of about 195 km, you will be exposed to the rich and diverse wildlife, amid a fresh environment. As Ralamandal Wildlife Sanctuary is located in the vicinity of the core settlement of Indore, it has become a weekend spot for the locals who come here to relax and spend quality time with their family and friends away from the pollution of the city. Ralamandal Wildlife Sanctuary is rich in several varieties of flora and fauna. Patched with grasslands and covered with rich forests, it is home to animals, such as leopard, blue bull, barking deer, sambar and jarak. The major trees found here include teak, eucalyptus, saja and bamboo. If you love photography, then it is the place where you should be this weekend, as you can capture the unseen magnificence of nature within this sanctuary. Apart from enjoying wildlife safari and spending some time amid some fresh air and a cool breeze, you can also explore the beauty of Indore, as there are several historical and natural places within the boundaries of Indore, which will certainly interest you. The must-visit places in Indore include Patalpani Waterfalls, Rajwada Palace, Atal Bihari Bajpayee Regional Park, Lal Bagh Palace, Indore Museum and Annapuran Temple. 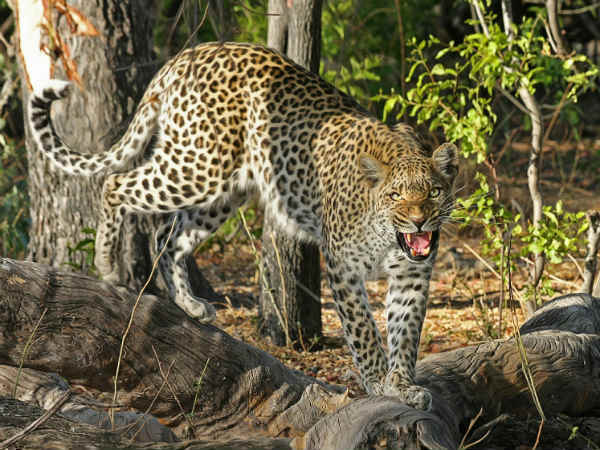 Isn't a trip from Bhopal to Ralamandal Wildlife Sanctuary an alluring journey?